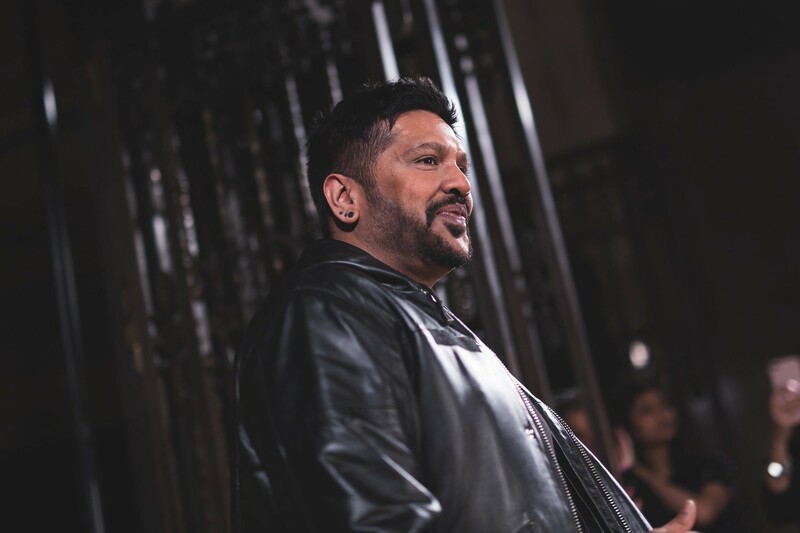 Indian designer Rocky Star lives up to the name of his self-titled fashion label with regal rock star couture befitting glamorous a-listers, the fashion elite, and those who love to strut the streets in contemporary chic. 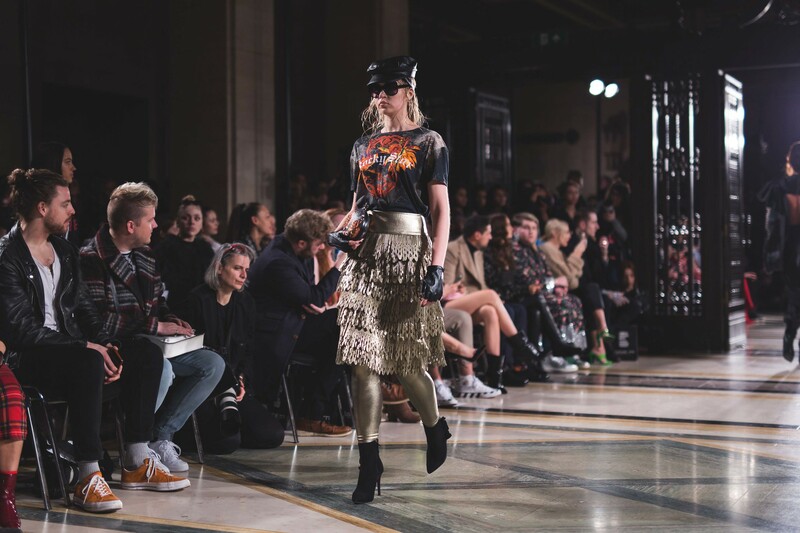 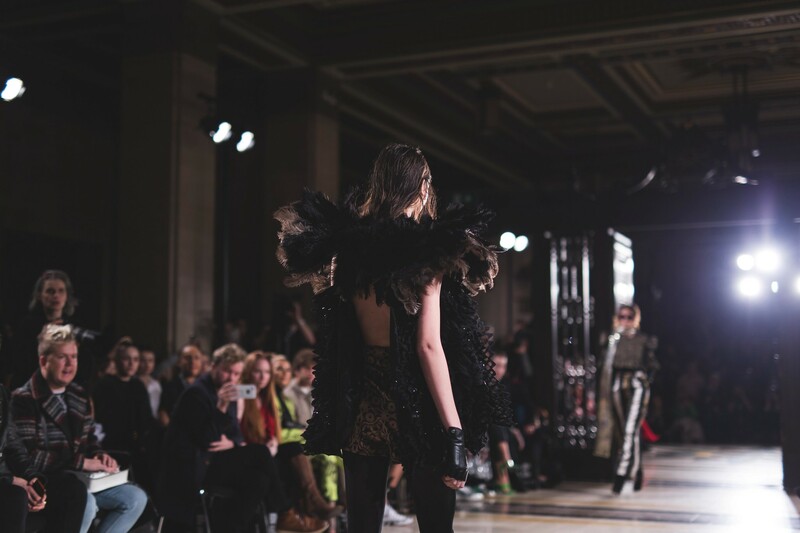 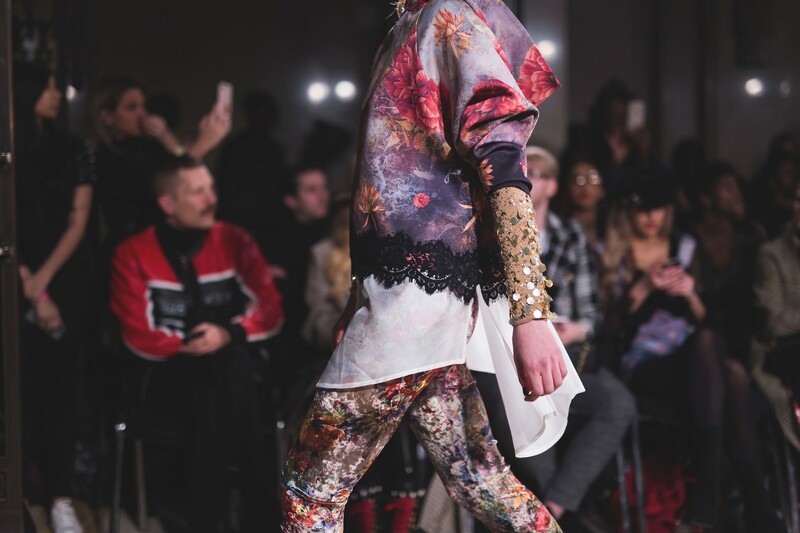 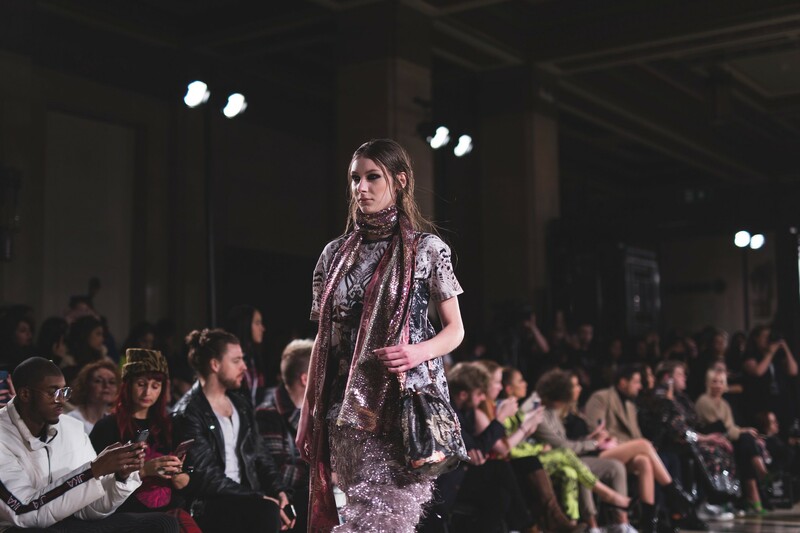 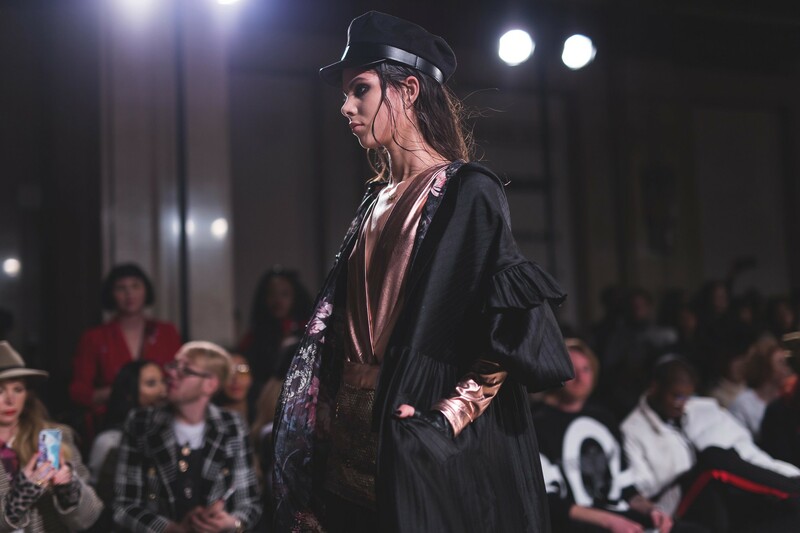 Much like his previous works, the AW19 collection is an exemplar of opulence (you own everythiiiiing) with an exquisite arrangement of glitter, sequins, feathers and jewels over digital print, velvet, lace and metallic fabrics. 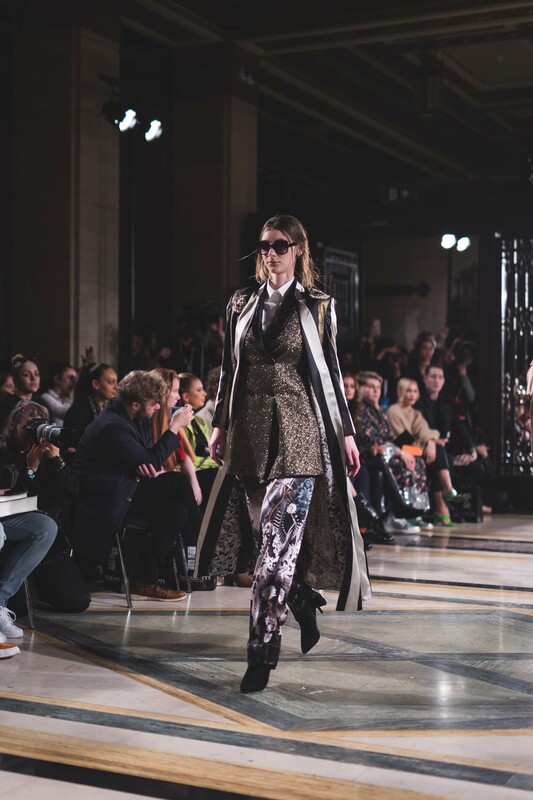 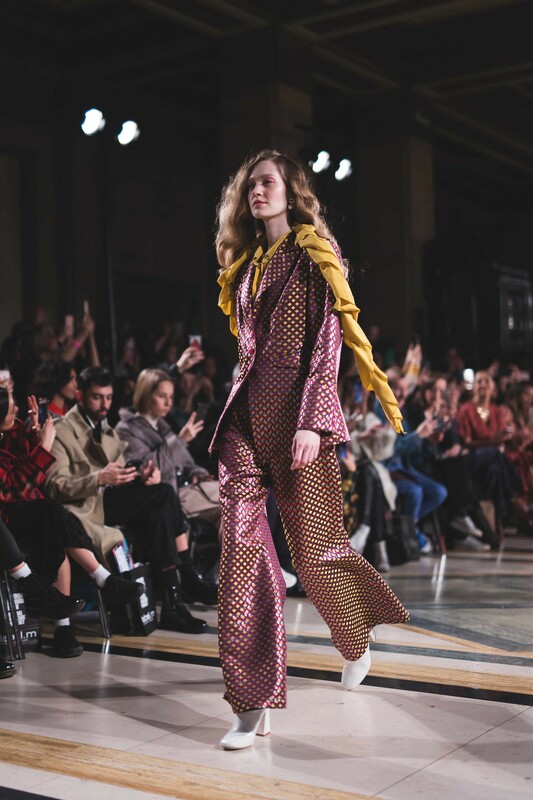 Each ensemble shimmers and shines beneath the spotlights, drawing the eye to every pattern, embellishment and material detail, and suddenly you're left contemplating the apparent tediousness of your own wardrobe back at home. 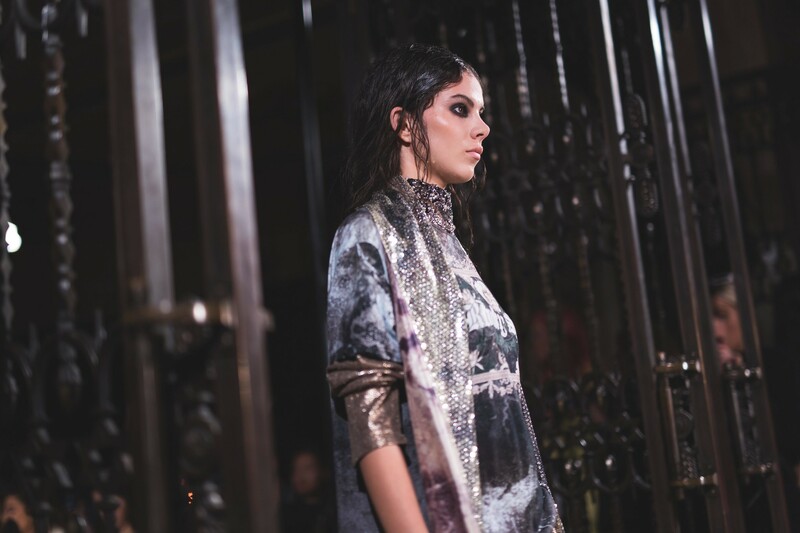 This is a fashion label for the modern-day goddess. 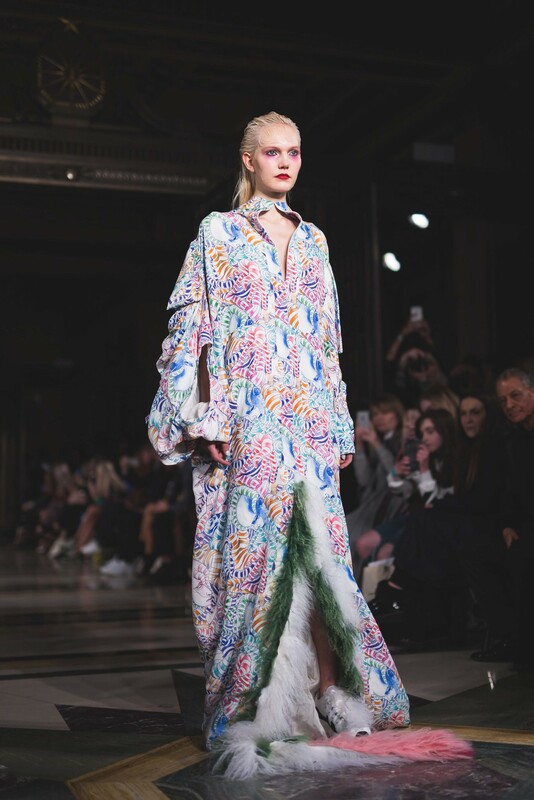 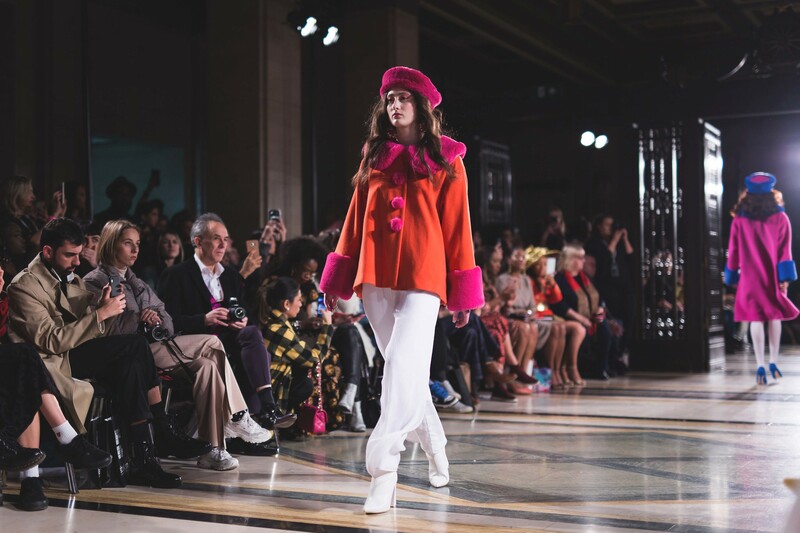 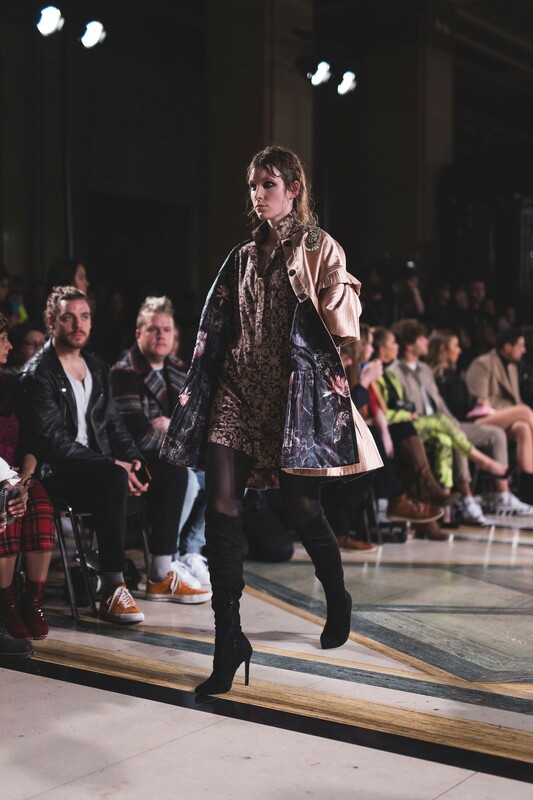 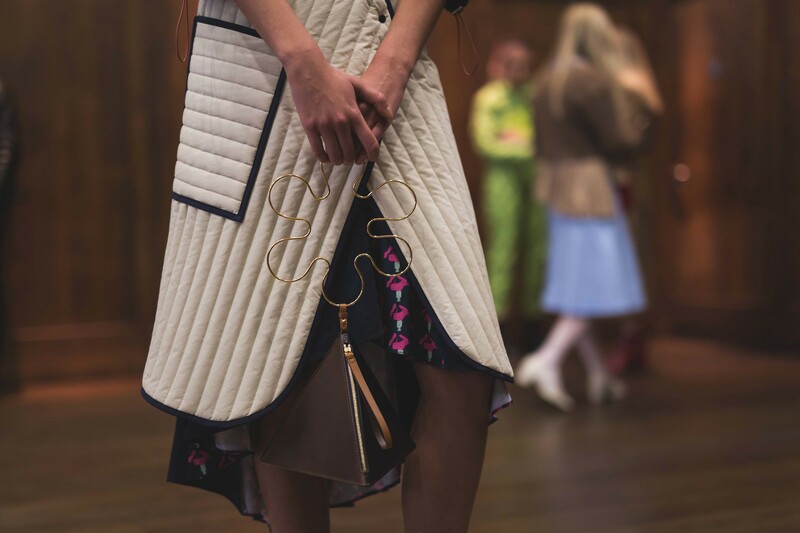 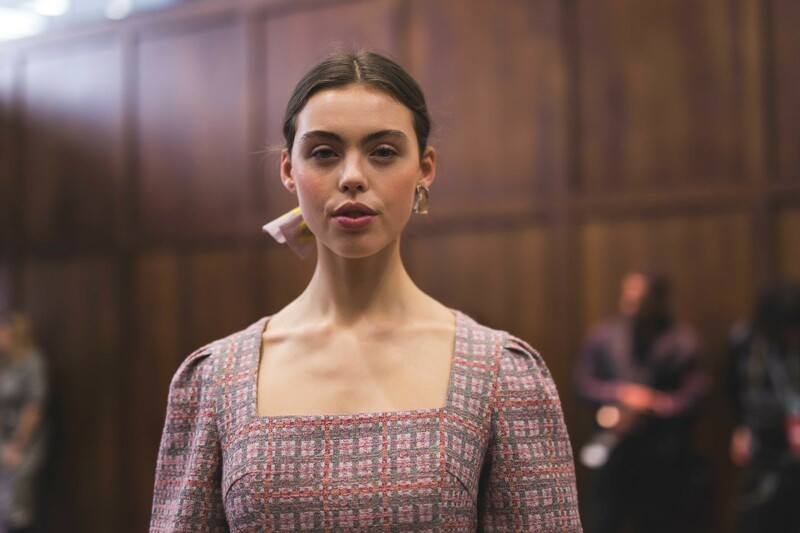 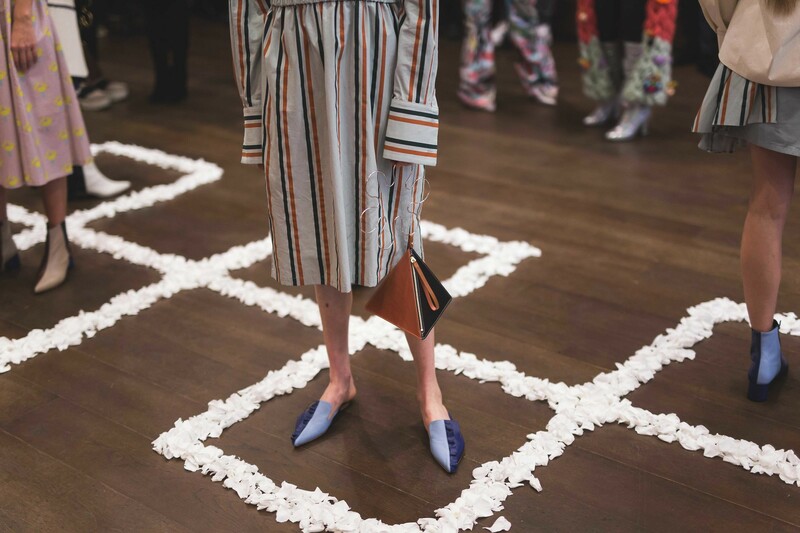 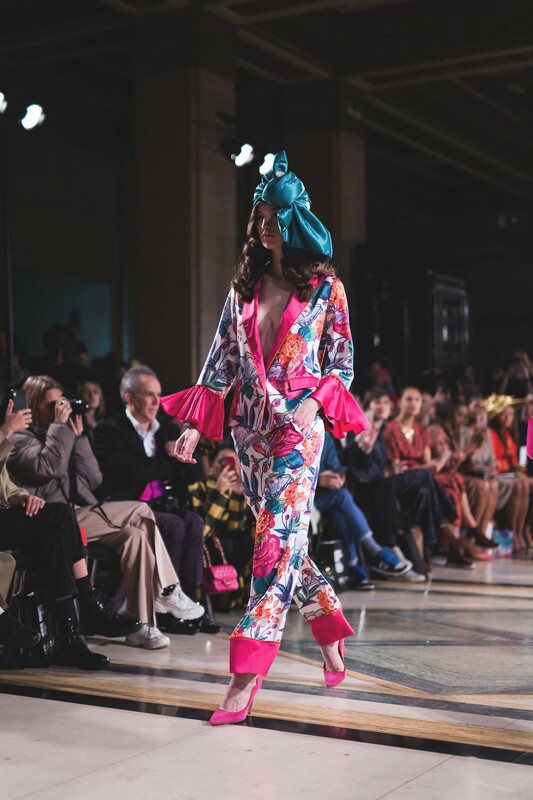 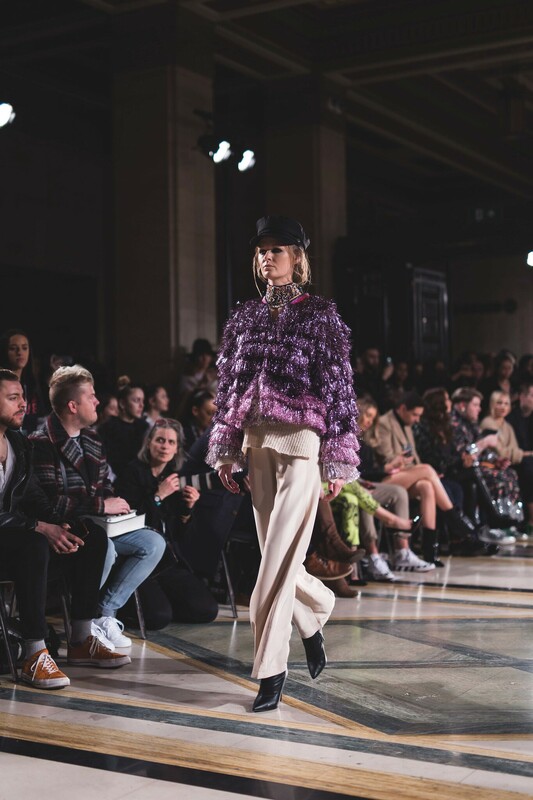 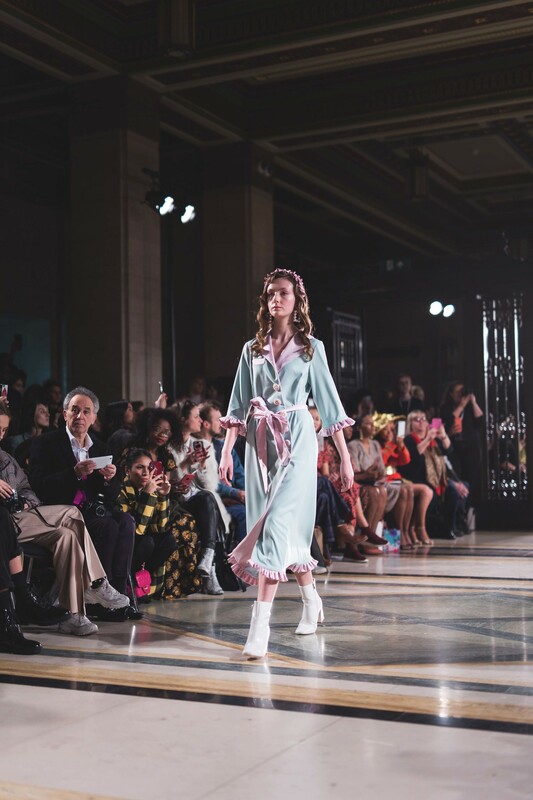 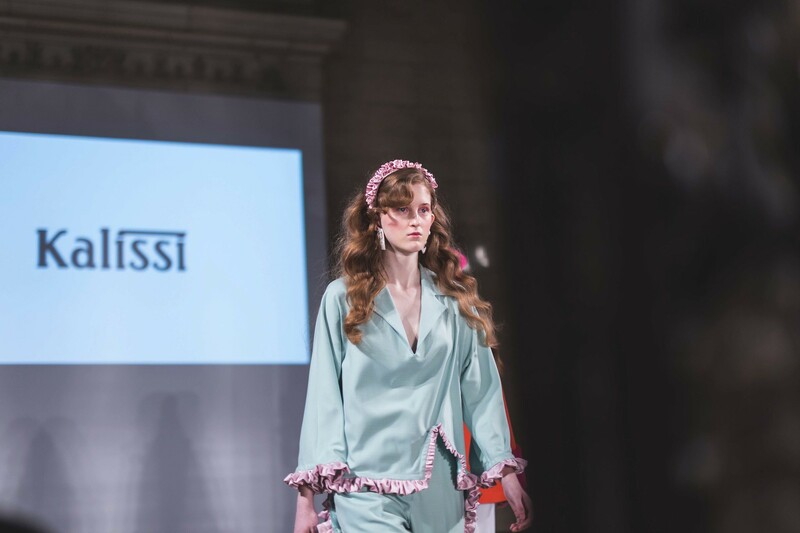 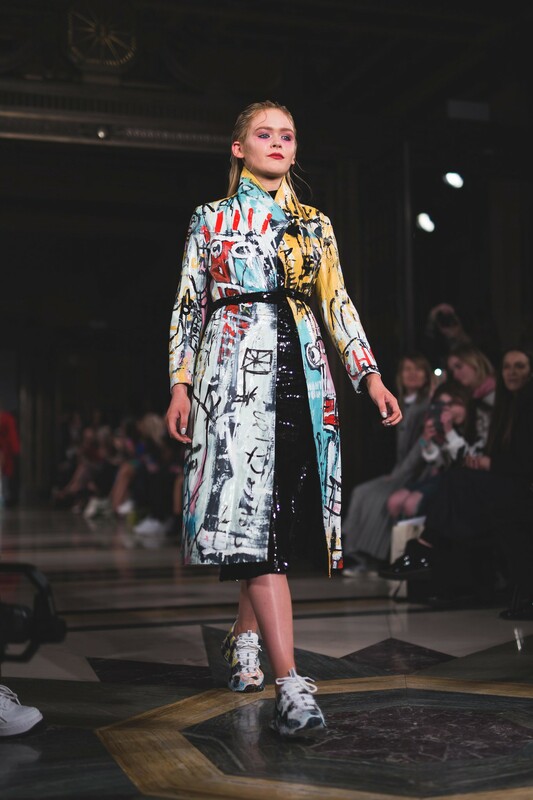 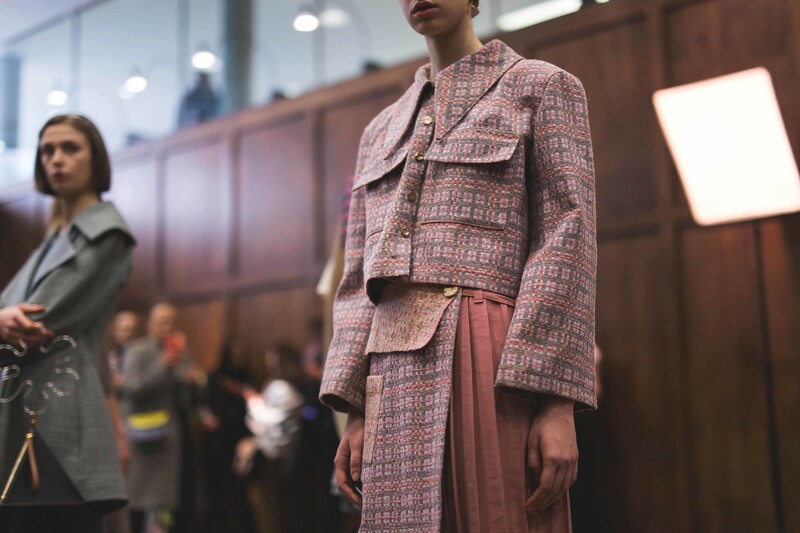 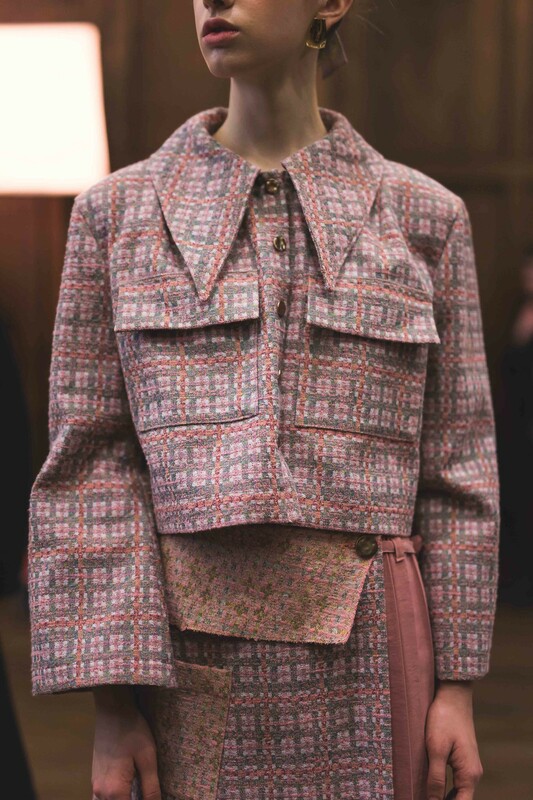 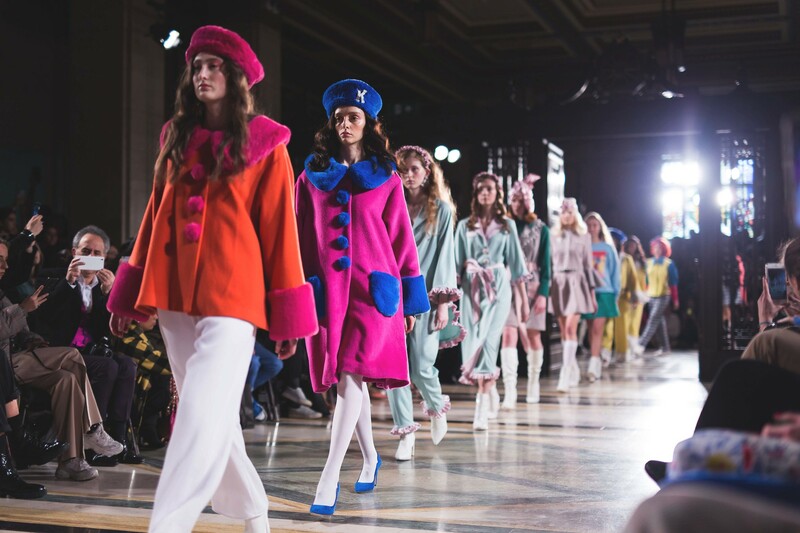 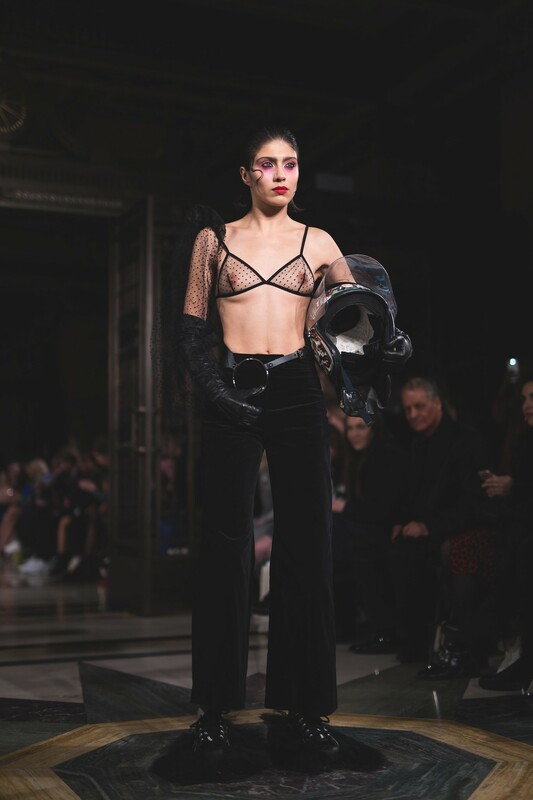 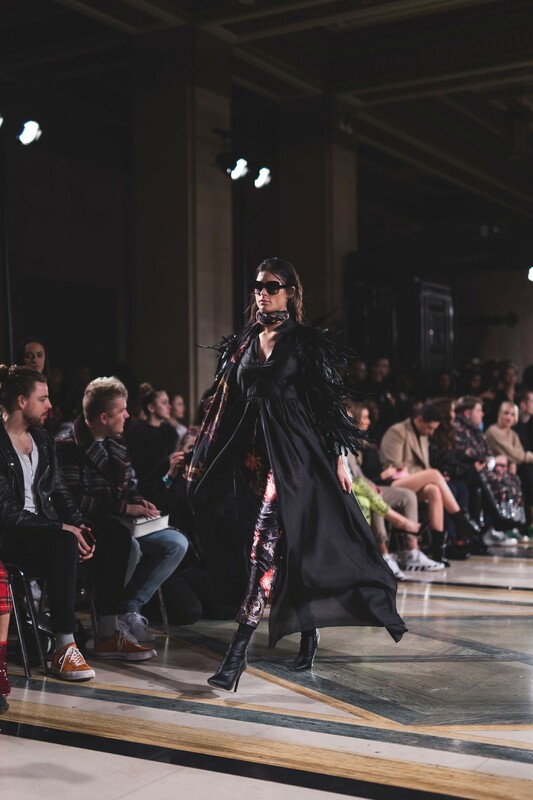 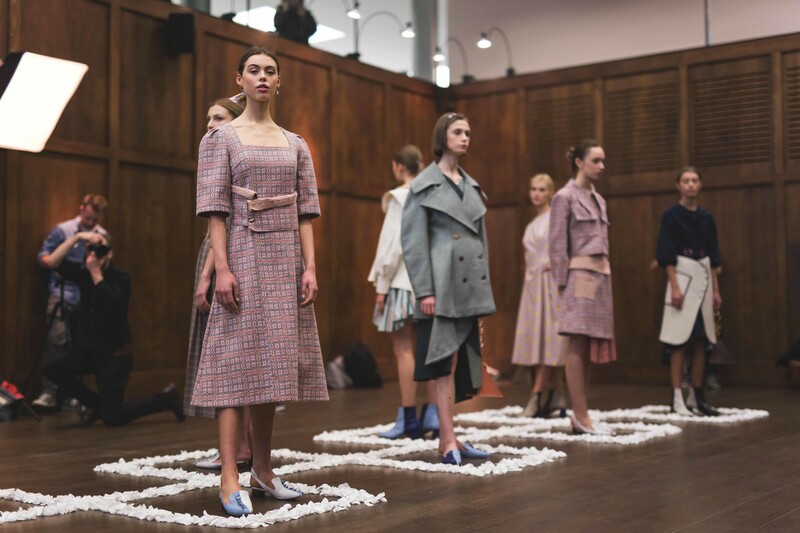 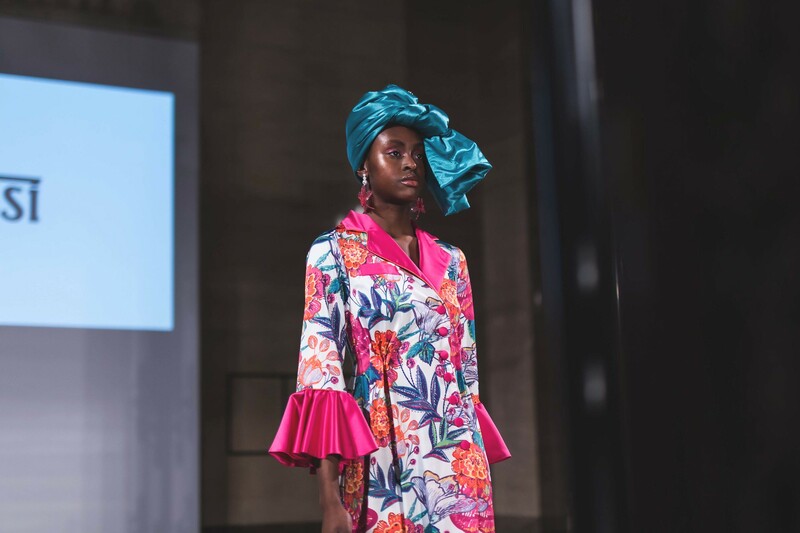 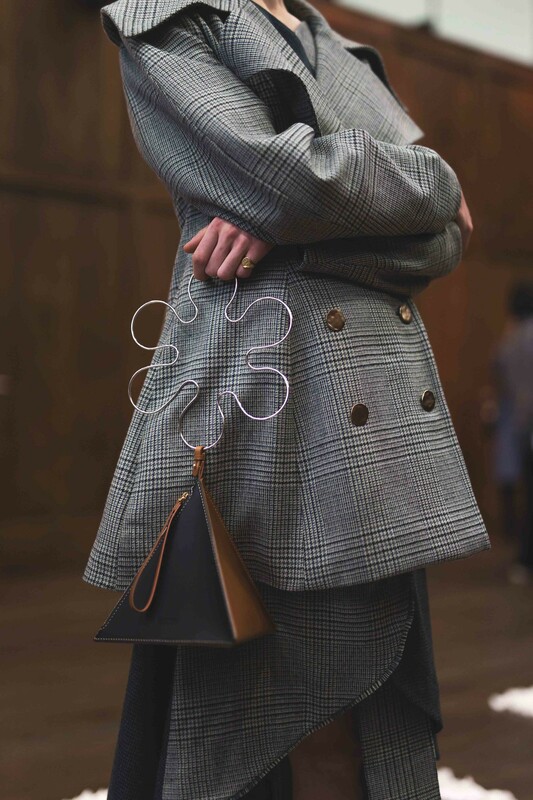 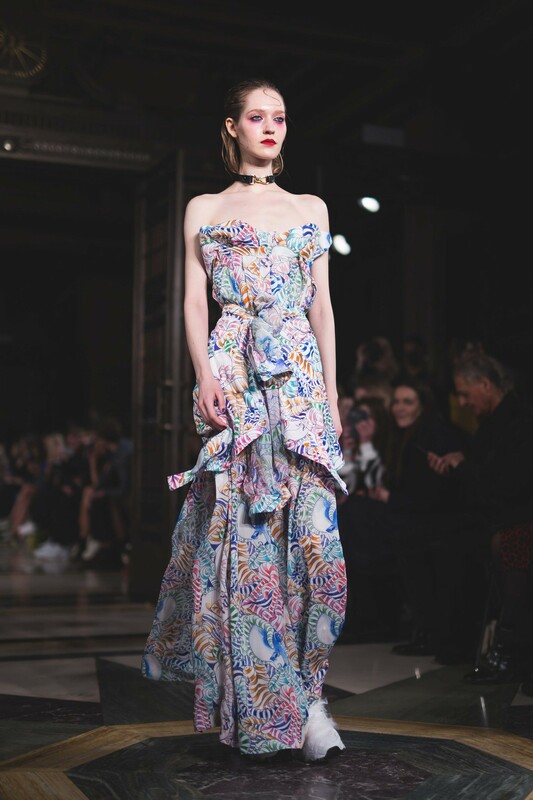 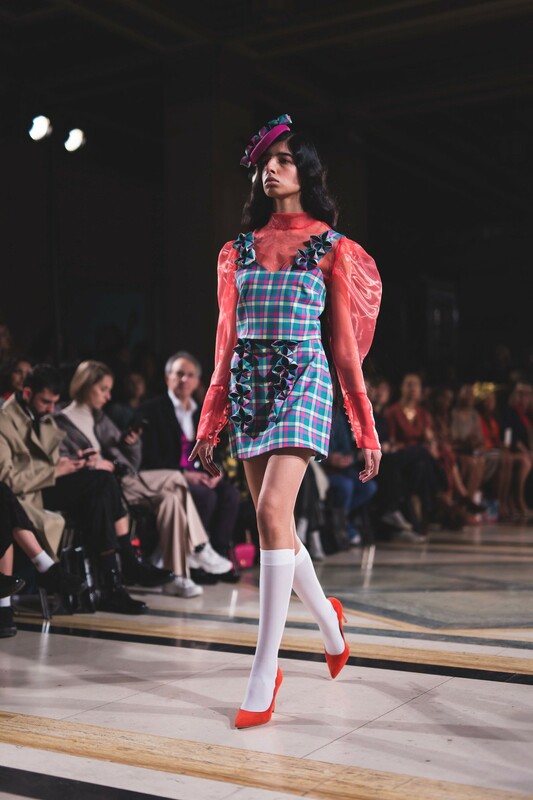 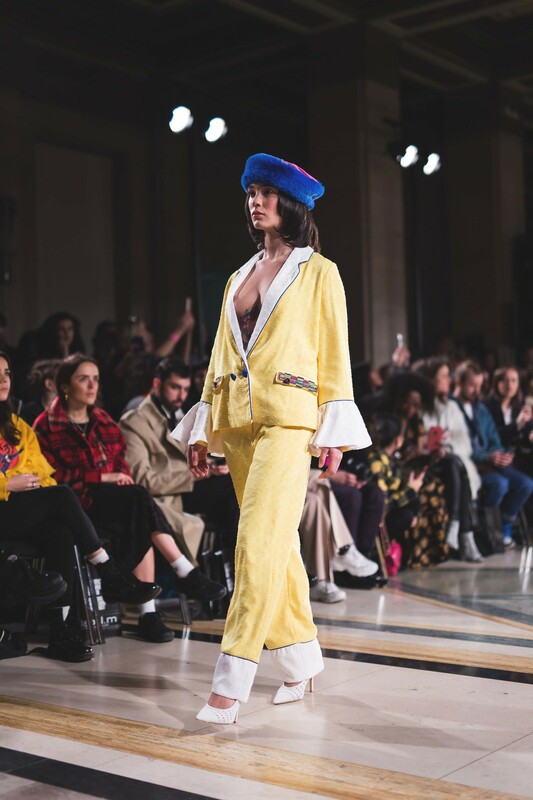 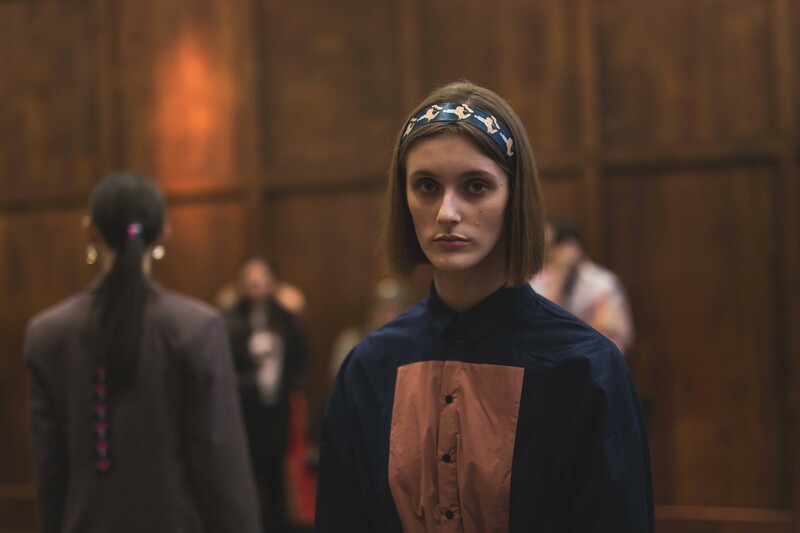 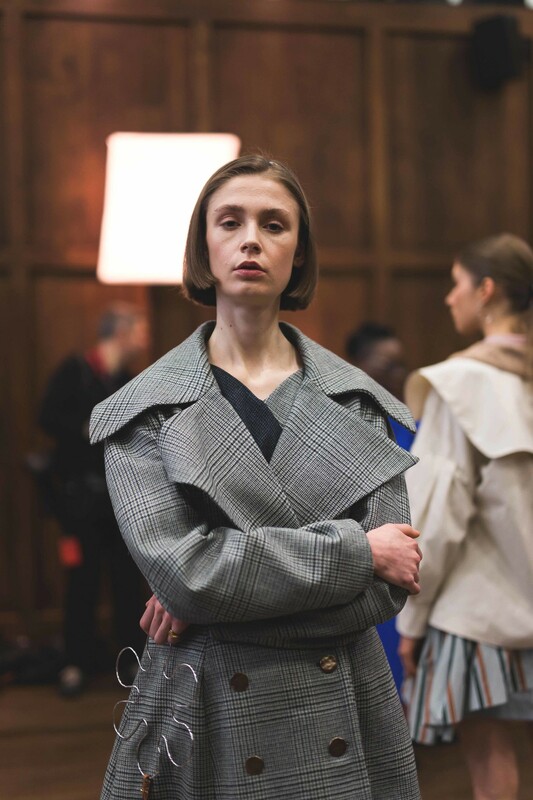 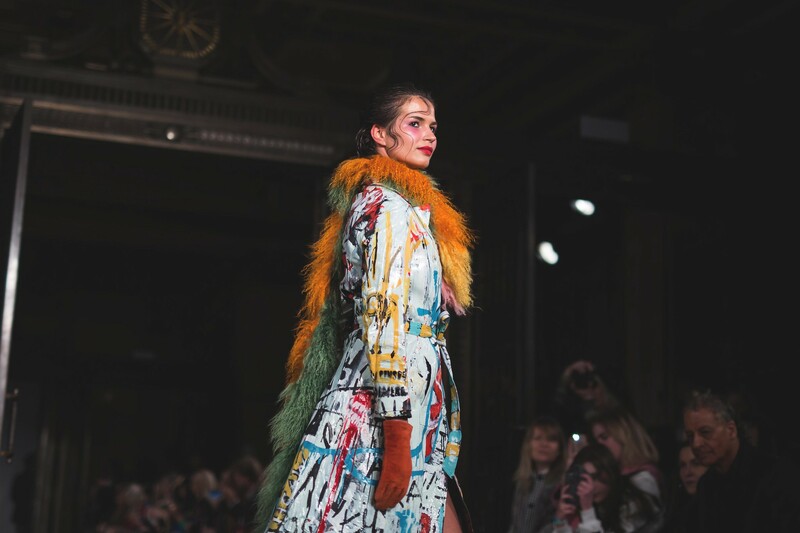 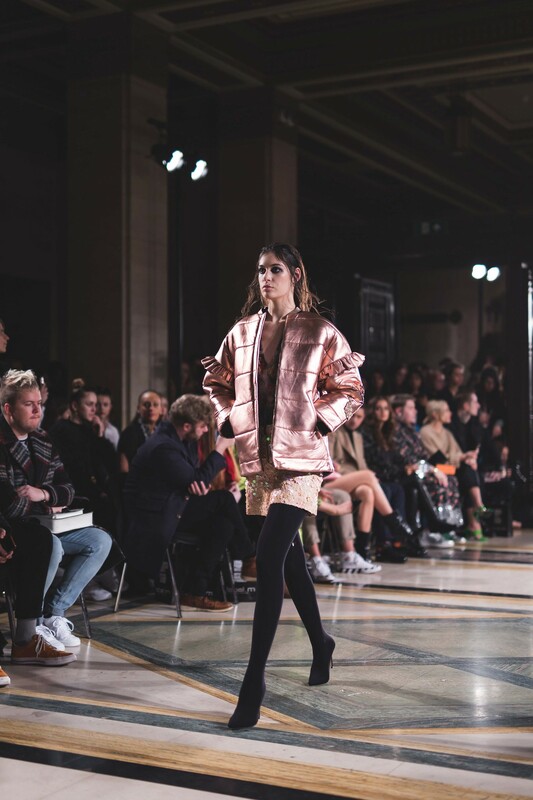 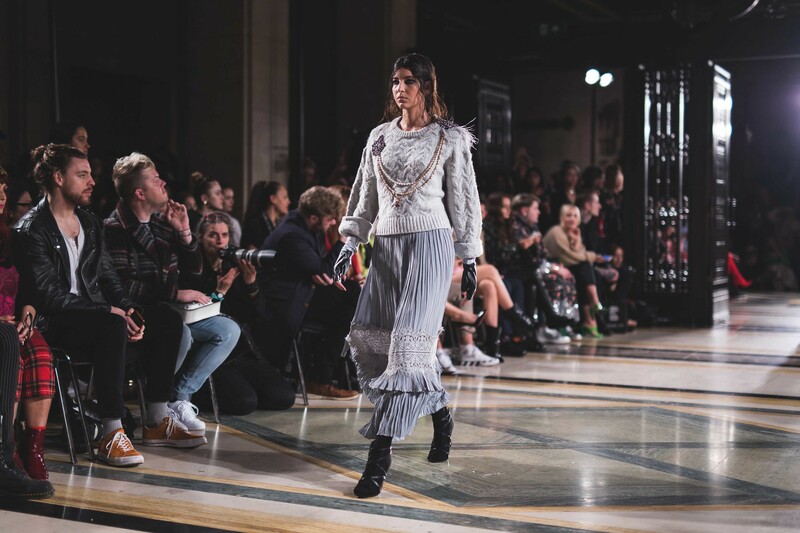 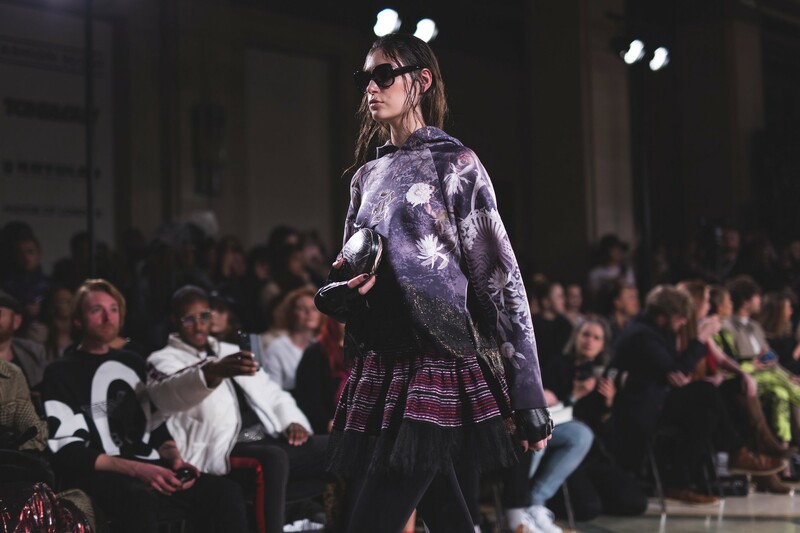 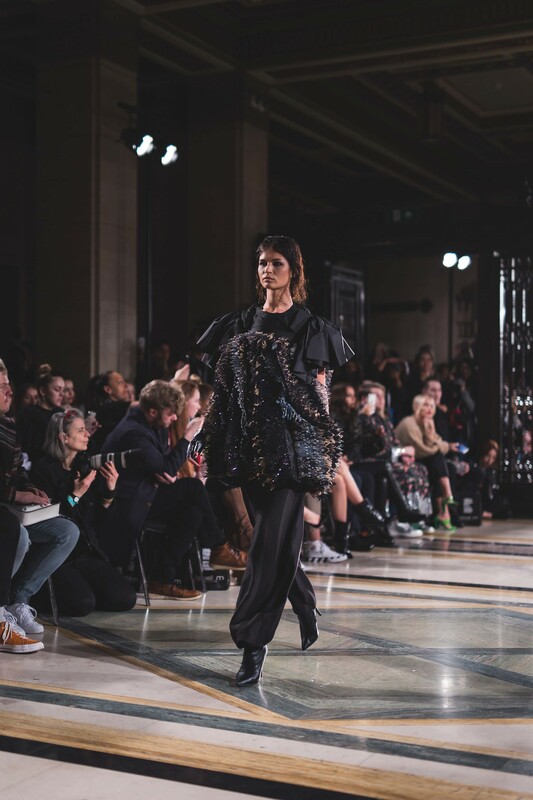 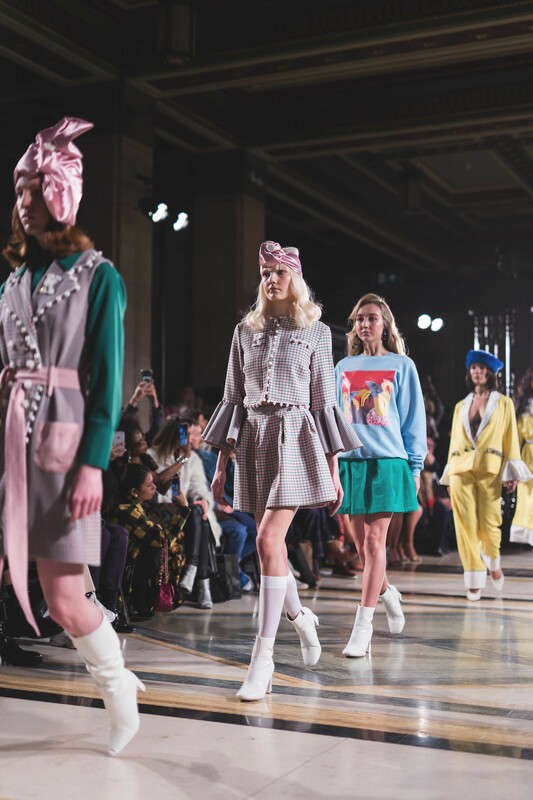 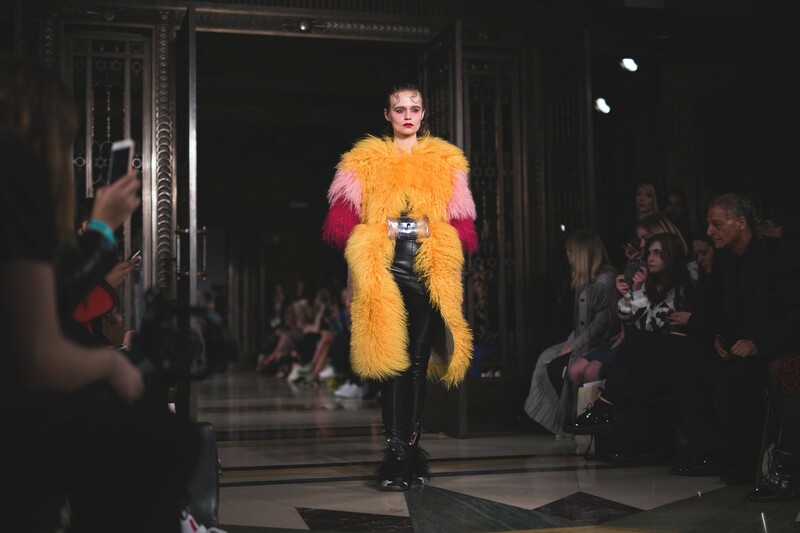 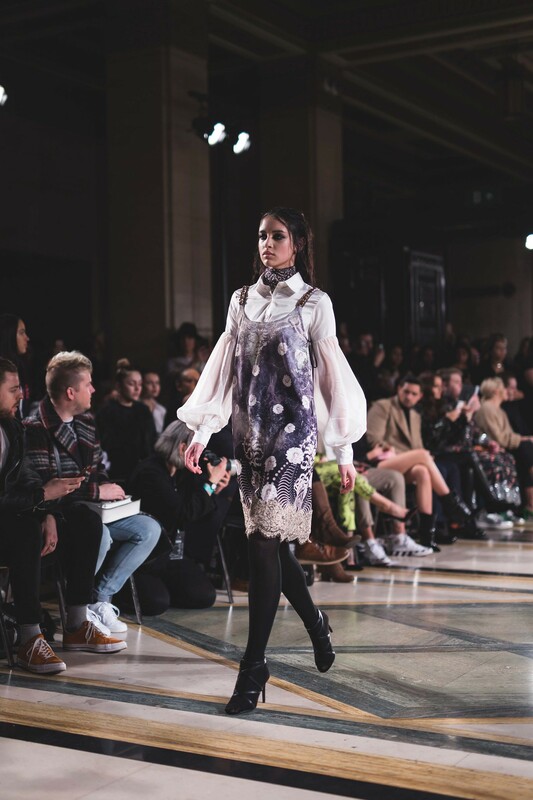 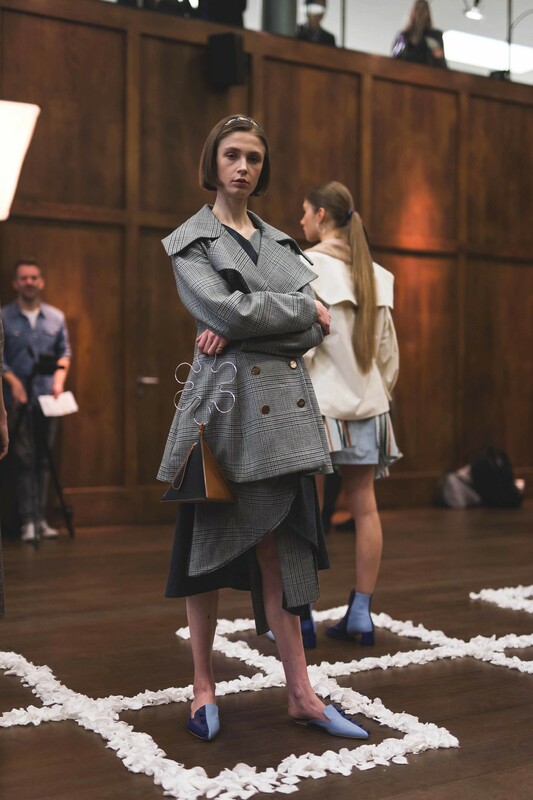 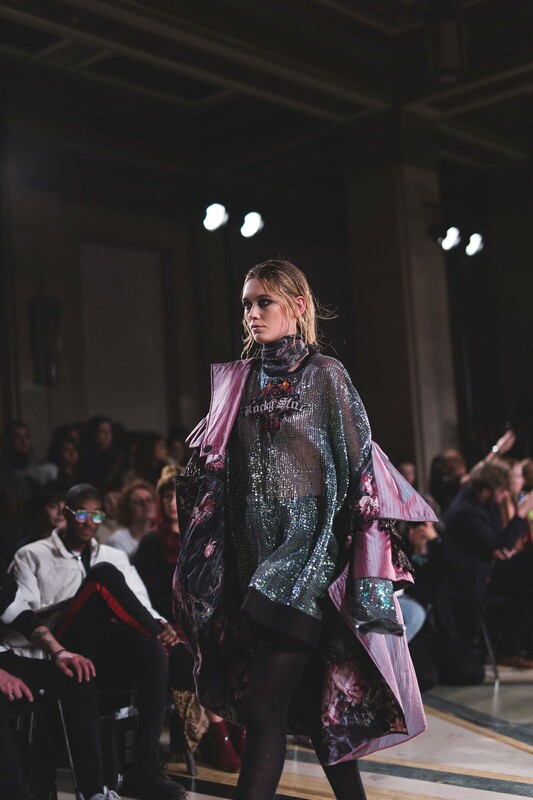 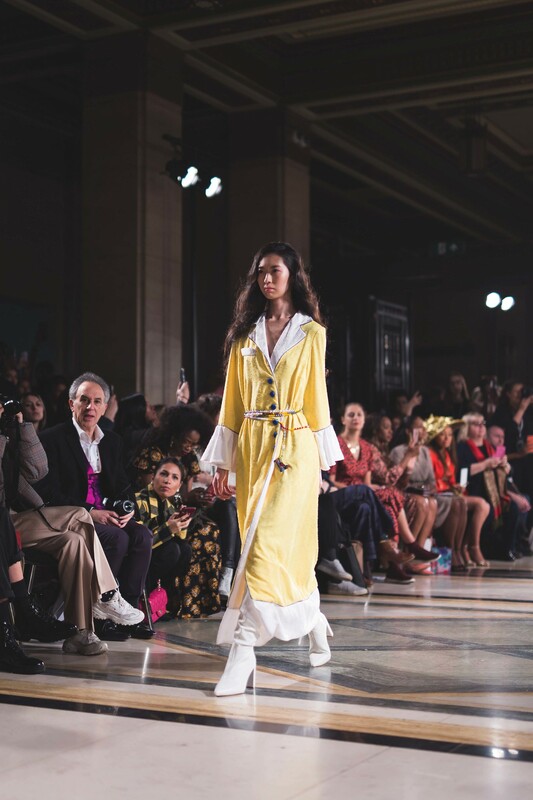 Vibrant and playful are two such words I'd associate with womenswear label Kalissi after watching the AW19 collection sashay along the Fashion Scout runway. 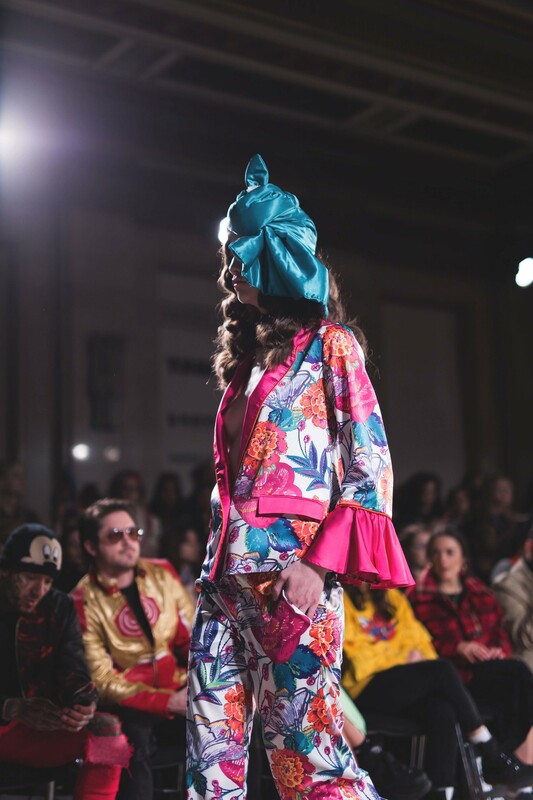 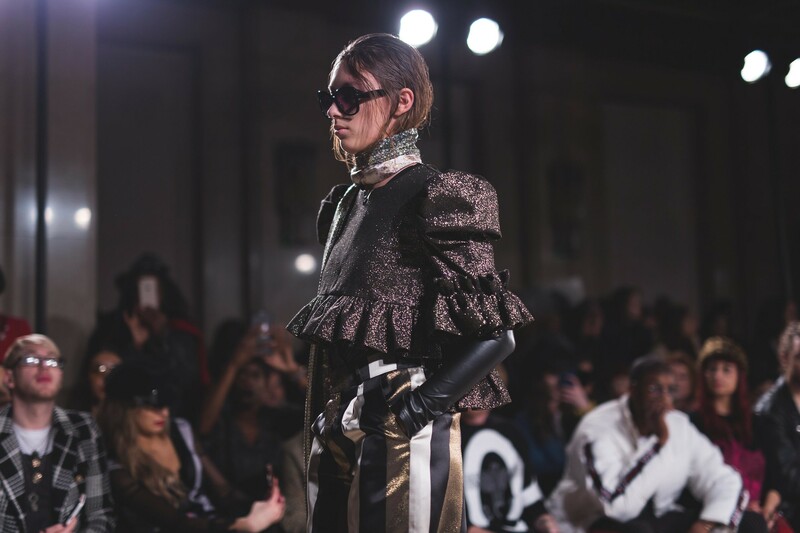 Loud colours and patterns dominate the quirky and extrovert designs by Christina Hrdlicka, complemented by fun and fanciful details like frilled cuffs, satin headscarves, and pearl embellishment. 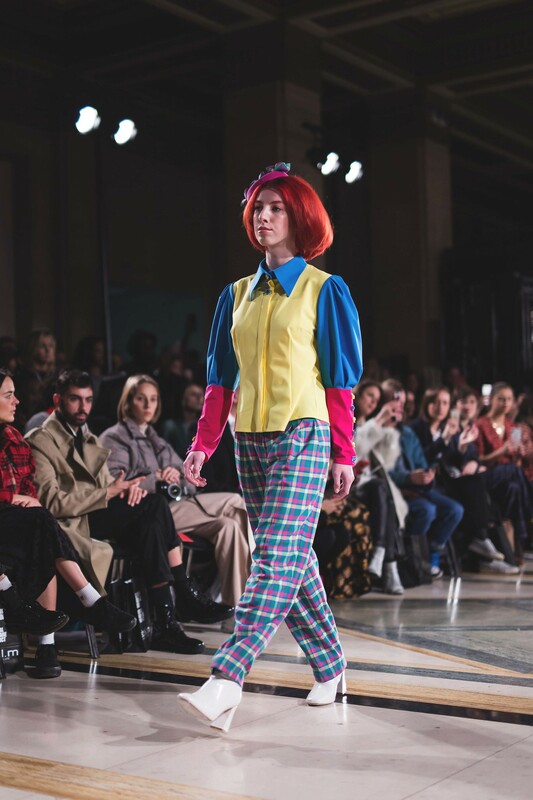 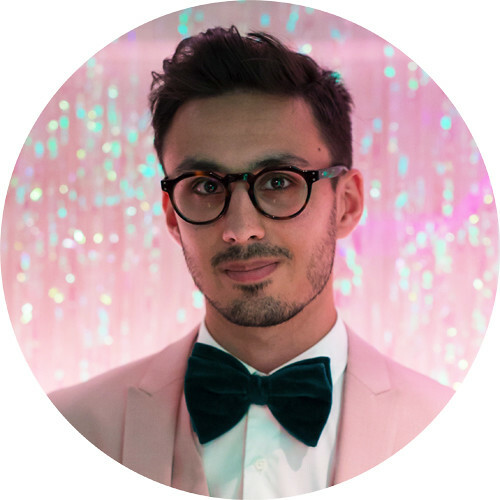 In keeping with Kalissi's extroverted character, two of my favourite styles from the "Roial" collection appear in deep antithesis with each other, yet share a likeness in their vivid hues. 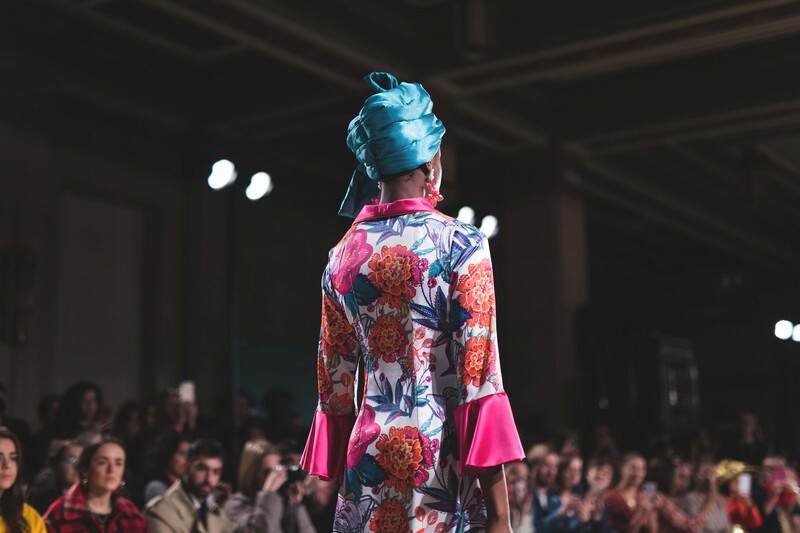 The first, pictured immediately above, boasts a distinctly tropical flair in its floral print and palette of pink, orange and teal; more suited perhaps to a winter close to the equator. 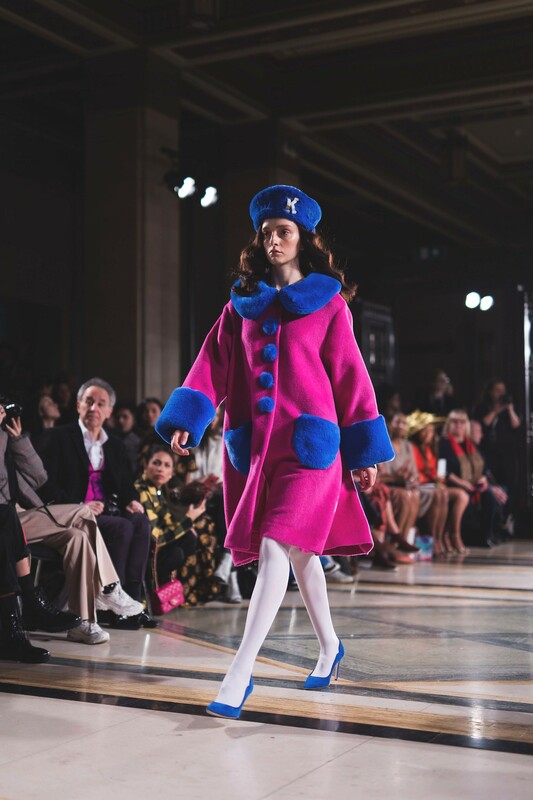 Whereas the second style, pictured beneath, is ostensibly Russian in its woolly coat and faux-fur cossack, albeit this particular ensemble would never go unnoticed on the streets of St Petersburg with its clownish partnership of bright pink and blue.